These cool season bloomers provide a long lasting display of cheery flowers atop lush foliage. Their cushy pom-pom blooms are a perfect counterpoint to the cup and trumpet shaped flowers of the spring bulb garden. Perfectly sized for rock gardens and border fronts. Perfect for all kinds of containers. 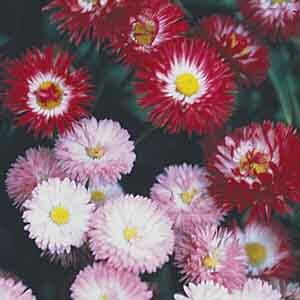 Especially nice for mixing with spring bulbs. Very easy to grow in virtually any location. Prefers fertile, well-drained soil and cooler temperatures. Keep well-watered during hot weather. Deadhead to prevent self-seeding.